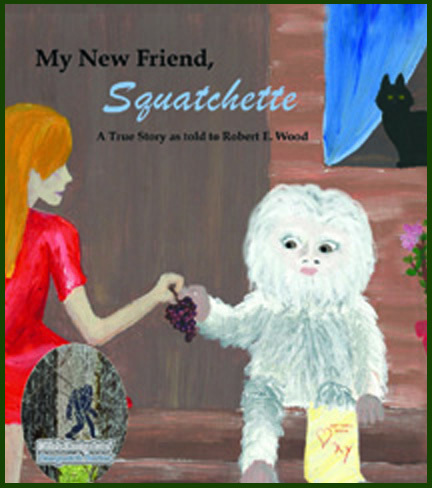 My New Friend, Squatchette is the first book in the Life's Footprints Sasquatch Series. 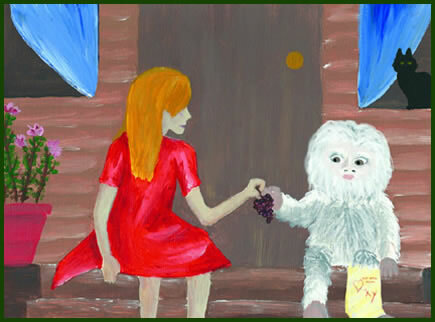 In this story we meet a little girl, Xylina, who goes to live with her grandfather in a beautiful part of the world. 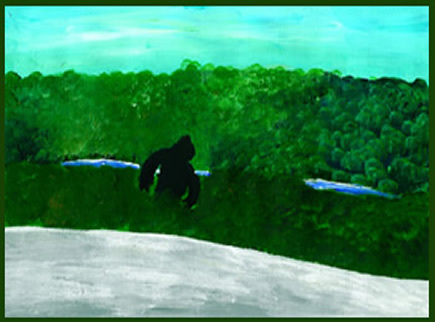 There in the lush forest setting berries can be plucked off bushes and it is in this setting that Xylina and her grandfather make an extraordinary discovery. Over the next several weeks a remarkable relationship takes shape among the members of this unlikely group. 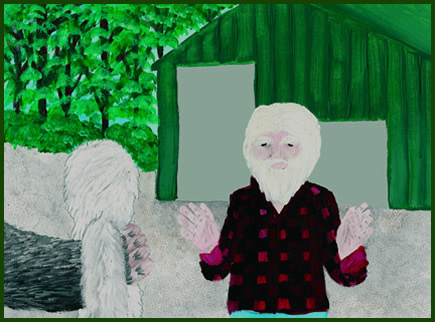 Grandpa spends a lot of time with me and has taught me many things about nature and the friendly animals we often see in his back yard including deer, rabbits, squirrels and other wild visitors. One thing that is very obvious in Grandpa's yard, near the creek is a metal statue that looks like a giant man about seven-feet tall. 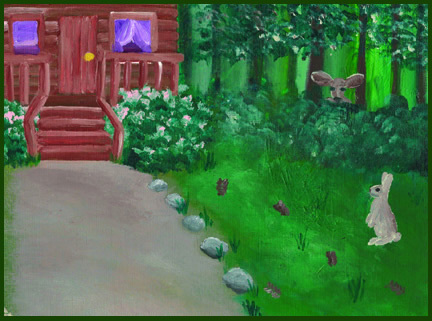 After falling asleep one night I awakened to a very loud "Thump - Thump - Thump", which caused me to sit straight up in bed. After offering her such things as bread, soups, cookies and other foods she seemed to like several kinds of breakfast cereals best. However, she did not like any cereal with milk. 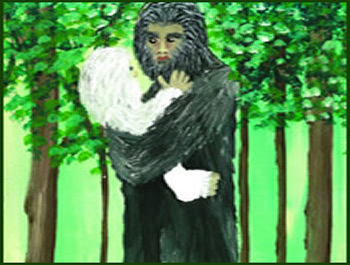 Each day of this healing period the Mother Sasquatch carried Squatchette out into the woods and returned her several hours later. 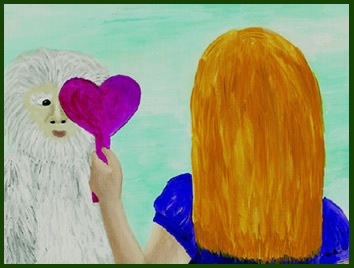 One thing she seemed to really enjoy, however, was when I held my heart-shaped mirror up so she could see an image of herself.